Pennsylvania artist Julie Riker received her BFA from the University of The Arts, and after graduation she worked on the restoration of the PA State Capitol for 6 years restoring original murals and decorative finishes. In 1996 she started her own interior decorative painting business, specializing in murals, faux finishes, and handpainted decoration and has painted in countless homes, churches, and businesses. 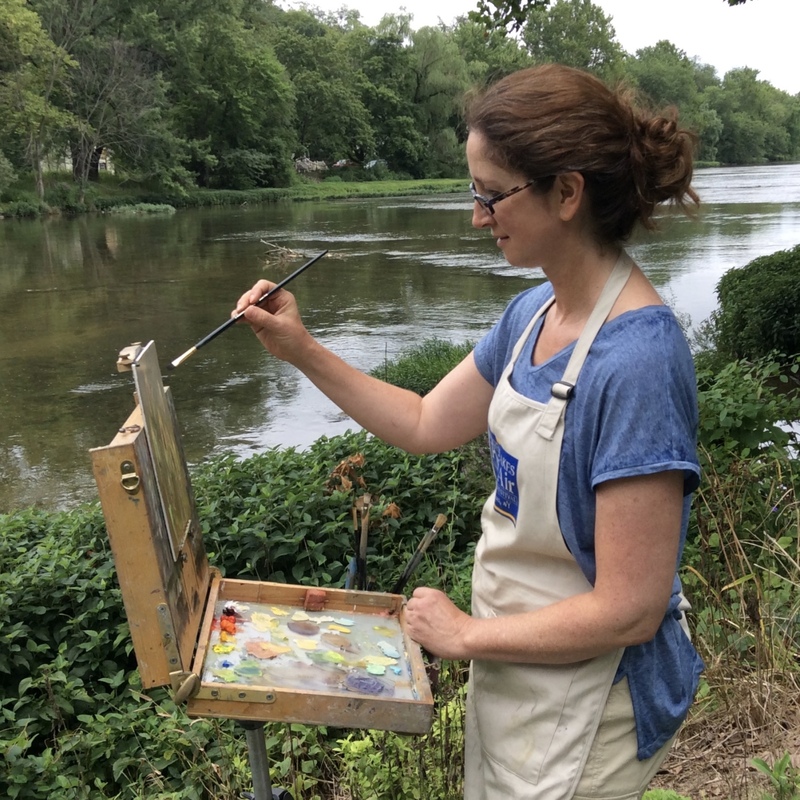 When not working for a client, Julie enjoys painting outdoors. Many of these plein air paintings serve as inspiration for larger studio pieces, but some stand on their own as observations of the beauty and variety of nature. She has participated in many national plein air events and won several awards. Some recent accomplishments are Artist’s Choice Award at Paint Snow Hill, First Place at Paint Annapolis, People’s Choice Award for Quick Draw at Finger Lakes Plein Air, Plein Air Magazine Award at the Wayne Plein Air Festival, Plein Air Salon Finalist, and Feature Artist juried into Plein Air Easton. Julie’s paintings have been published in Fine Art Connoisseur Magazine and she is profiled in an article in the Feb/March 2018 issue of Plein Air Magazine. Southwest Art Magazine has recognized Julie as an “Artist To Watch” and will feature her work in their October 2018 issue.